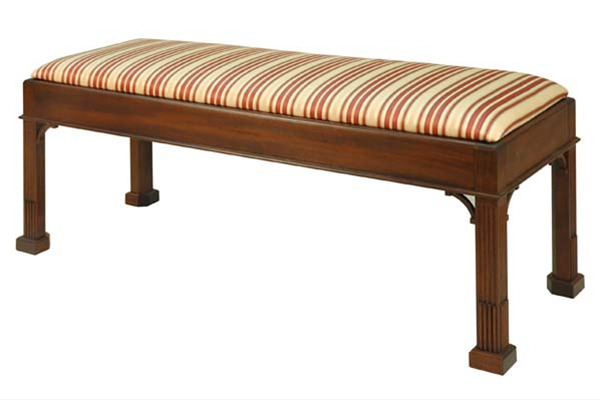 We made this custom Federal Style bench to match a client's existing desk. She took some photos, forwarded them to us, and we did the rest. Beautiful fabric choice. Can't wait to see it with the desk. Price does not include fabric.